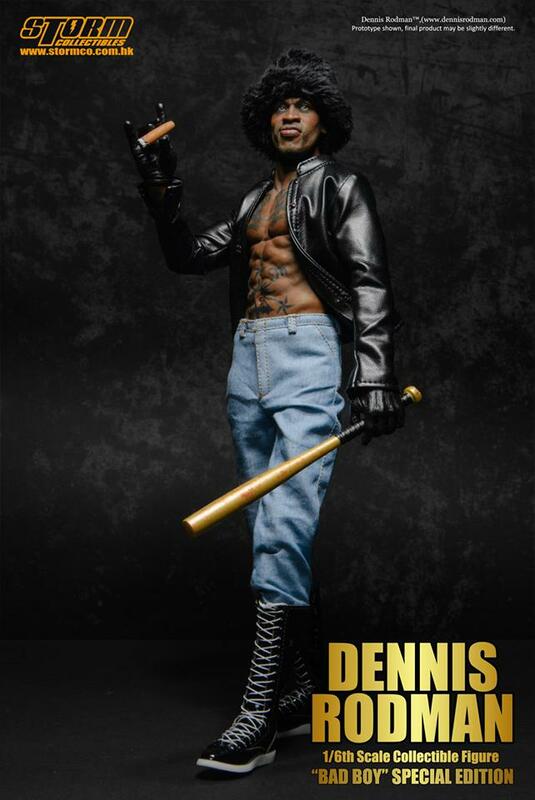 New Dennis Rodman “Bad Boy” Special Edition Available Now; Mike Tyson “Olympic” Figure Debuts Early Next Year!! Irvine, CA, October 26, 2015 – Bluefin, the leading North American distributor of toys, collectibles, and hobby merchandise from Japan, Hong Kong and more, is proud to welcome its newest partner – Hong Kong-based Storm Collectibles – and the debut of a pair of new, realistic 1/6 scale collectible figures. New from Storm Collectibles and available now for purchase and Bluefin pre-order are realistic 1/6 scale pose-able figures of basketball legend and pop culture provocateur, Dennis Rodman, depicted in his “Bad Boy” wrestling attire, and heavyweight boxing champ, Mike Tyson, depicted in his early years when he fought for the U.S. Junior Olympic team. 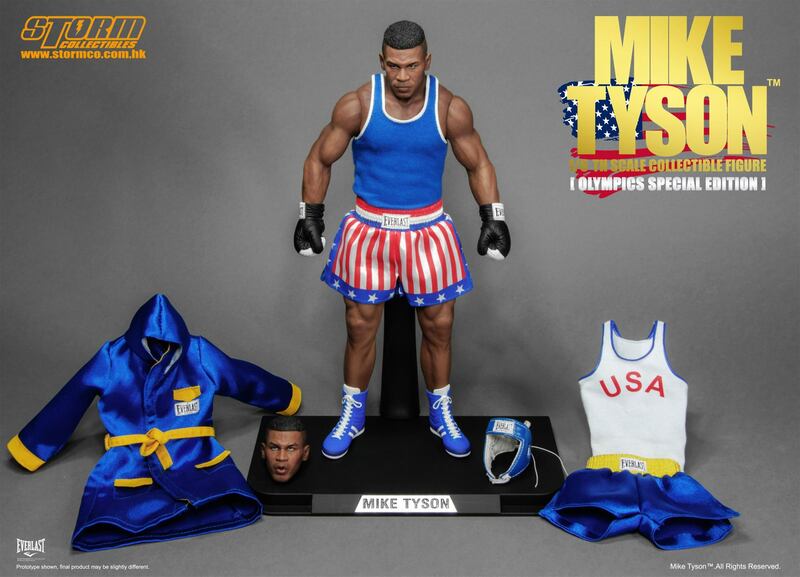 The Mike Tyson “Olympic” figure will be a limited edition product and a Bluefin exclusive. Each Storm Collectibles 1/6 figure features a lifelike, extremely accurate facial design, capturing all the nuances and expressions of these legendary pop culture personalities. The figures are also fully articulated with moveable arms and legs and each set comes with a variety of alternate hands, feet and other accessories to create endless posing possibilities. Dennis Rodman is available now with Mike Tyson coming out in February of 2016. They can be purchased through various retailers. Mike Tyson, the former undisputed heavyweight champion of the world holds the record as the youngest boxer to win the WBC, WBA, and IBF heavyweight titles at the age of 20. Tyson won gold medals at the 1981 and 1982 Junior Olympics and holds the Junior Olympic record for the fastest knockout ever (8 seconds). Tyson also won every bout at the Junior Olympics by knockout. 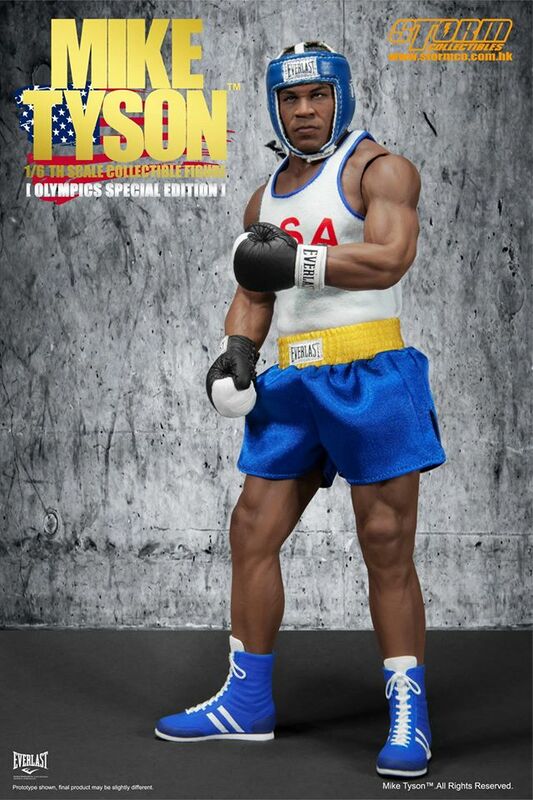 This new exclusive figure captures Tyson’s outfit from the Junior Olympics, just as he was ready to explode onto the international stage, and comes with a variety accessories to recreate all of his iconic moments. 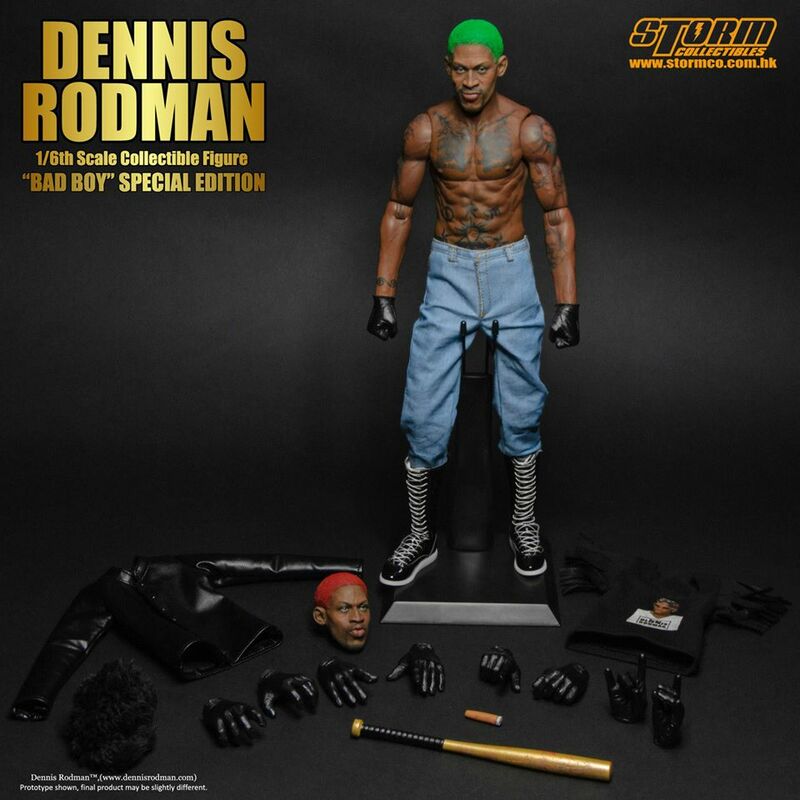 The Dennis Rodman “Bad Boy” Special Edition captures Dennis Rodman in his “baddest” look yet, as seen when he took to professional wrestling! During this period he teamed up with Hollywood Hogan to create one of the most memorable and wildest tag team moments in pro wrestling history and shocked the world! Based in Irvine, CA, Bluefin built its reputation as a leading distributor of Japanese toys, collectibles, novelty and hobby products. In recent years, Bluefin has grown to include a range of high quality collectible lines from the United States, Hong Kong, Taiwan and Singapore and established itself as the official North American consumer products and retail development partner for Studio Ghibli. Selling to thousands of specialty, chain and independent stores, Bluefin is an official North American distributor for Bandai Hobby, Kotobukiya and Capcom, is the sole provider of Bandai Tamashii Nations products, and is also the exclusive and official distributor for Beast Kingdom, Comicave, Mr. Hobby, Groove’s Pullip dolls, SEN-TI-NEL and X-Plus. Bluefin also represents TruForce Collectibles products worldwide. Additional information is available at: www.bluefincorp.com.